February 25, 2012 - Goodyear whose world famous airships have become synonymous with big sporting events, is once again joining with ESPN SportsNation to provide fans with the opportunity to decide, via online voting, which college basketball tournament will attract aerial coverage by the iconic Goodyear Blimp and be deemed "Blimpworthy." Last November, college football fans across the country voted on ESPN.com and named the November matchups of Miami vs. Florida and Notre Dame vs. Stanford as the most Blimpworthy matchups. A promotion via Goodyear's website and ESPN's SportsNation TV program will help choose which upcoming NCAA tournaments are "Blimpworthy." Since Tuesday until 3PM February 27th, voting is open and rotating at ESPN website (search term "Blimpworthy"). The opportunity for voters to direct Goodyear to send one of its three U.S.-based blimps to a specific location will involve these NCAA tournaments: ACC Tournament in Atlanta, GA (March 8 on ESPNU, 9-11 on ESPN/ESPN2); SEC Tournament in New Orleans, LA (March 8-9 on SEC Network, 10-11 ESPN and ESPN2); and the Big West Tournament in Anaheim, CA (March 9-10 on ESPNU and ESPN2). The match-ups and voting period were announced today on ESPN2 during the daily edition of SportsNation; with the Blimpworthy voting results to be announced live on SportsNation on Monday, February 27. "ESPN, the worldwide leader and expert in sports coverage, continually chooses Goodyear for amazing aerial support on television and whether it's on the hardwood or racing to the finish line, Goodyear provides superior performance. Once again, we want the fans to vote and get the chance to be a part of the Goodyear team," said Garth Ely, Goodyear's director of brand marketing. "This is an exciting way to get consumers involved with the Goodyear Blimp in the coming weeks, as we continue to talk about our brand and products in an engaging way." 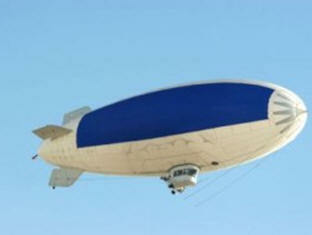 Goodyear's blimps are among the most recognizable brand icons, representing the largest tire company in North America. They have adorned the skies since 1925 and have served America as aerial aircraft carriers, surveillance airships protecting merchant ships and early warning radar stations through the 1950s. Today, the fleet consists of three North American airships - Spirit of America in Carson, CA; Spirit of Goodyear in Akron, OH; and Spirit of Innovation in Pompano Beach, Florida. Goodyear is one of the world's largest tire companies. It employs approximately 72,000 people and manufactures its products in 55 facilities in 22 countries around the world. Its two Innovation Centers in Akron, Ohio and Colmar-Berg, Luxembourg strive to develop state-of-the-art products and services that set the technology and performance standard for the industry.